As an animation artist, teacher, filmmaker and author, Yvonne Andersen has influenced the lives and work of hundreds of people. From organizing exhibitions and experimental film screenings, to teaching animation to children and adults at her Yellow Ball Workshop, she has been a radical and innovative pioneer in everything she’s done. I spent some time talking with Yvonne and a few of her students and collaborators to learn more about her fascinating life. At that time, Andersen was also presenting programs of experimental films at night; she said that, “The film screenings were highly controversial. Even in New York, people were hearing about what we were showing.” Renting 16mm prints from many now-defunct distributors like Brandon and Contemporary Films, Andersen was disappointed by the limited selection of animated films. She recalls, “I was always trying to get good variety for my programs: documentary, fiction, maybe a few features, and animation. But there wasn’t too much high-quality animation. And what little there was, was very expensive. That’s when I said, ‘Well, I’ll just make some stuff for the show.’ I had never animated before. I couldn’t even run a movie projector.” So, Yvonne invested in a camera and some equipment, learning by trial and error. “I found out it wasn’t quite as easy as I thought it might be. But that’s how I started.” she adds. The first film finished was Spaghetti Trouble, made together with Red Grooms in 1963, and still in distribution by the Filmmaker’s Co-op in New York. From then on, she and Dominic went on to make many more films–several in collaboration with Red Grooms, including Fat Feet, Meow, Meow and Appolinaire Unexpected. Independently, and in collaboration, Yvonne has produced more than nine shorts,, films, most recently We Will Live Forever, an animated illustration of a poem by Dominic Falcone. By 1960, Yvonne and Dominic had closed the gallery and were raising their two children, Jean and Paul Falcone, in Everett, Massachusetts. Thinking back to the beginnings of her teaching activities, Yvonne recalls a seemingly unrelated incident. “We had moved into a new apartment, and we had to get some furniture for it. My mother-in-law knew this guy who tore down old buildings and schools, so we went to get some used furniture. They had all these little children’s chairs, they were exquisite, and only 50 cents each. So I bought 8 of them, took them home, and put them around the work table.” Andersen had always provided plenty of art supplies for her own children, who often had friends over to make art projects. Soon enough, children were coming to the house, asking to come in and play, even when her own children weren’t home. “The next thing I knew, there were always little people sitting in those little chairs, using up my art supplies!” recalls Andersen. “They were doing very good work, so I decided I might as well get it organized.” So, in 1963, the Yellow Ball Workshop was born when Yvonne began offering art classes in her home, for two hours every Saturday, charging each child only one dollar per lesson to cover the cost of supplies. The evolution of the art classes into animation workshops was not something that Yvonne had planned. “One day, I showed the students the film that Red and I had made, and they wanted to make a film, too.” she recalls. “One of the boys had lots of good ideas, but he never really made anything. So I said ‘Well, you write a script and we’ll do it.’ The next week the boy came in with a script. So there I was, I was stuck, we had to do it!” The first film they made was The Amazing Colossal Man, a group project with papier-mâché characters shot in stop-motion on 16mm film. Word spread about the animation workshops, and the class size tripled from 12 to 36. Yellow Ball films were screened with acclaim at universities and festivals, a compilation of them winning first prize at the Rhode Island Film Festival. The $300. in prize money enabled Yvonne to pay off the film lab bills that had added up. Before long, people were beginning to notice her and she was being approached in all directions. “I didn’t know it at the time, but apparently nobody had done this before,” Yvonne said, recalling the overwhelming attention that ensued. Schools and educational institutions began purchasing and renting the children’s films. She appeared as a guest on the Mike Douglas Show and the Today show, and in 1970, she produced a 13 minute documentary for CBS television called Let’s Make a Film. That same year, Yvonne was approached by two different publishers to write instructional books about animation, resulting in the publication of Make Your Own Animated Movies, written for children, and Teaching Film Animation to Children, done for adults. 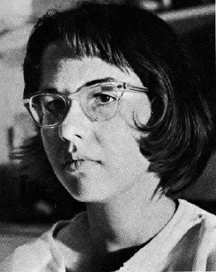 From 1973-77, Yvonne wrote a regular column on animation techniques for Super-8 Filmmaker Magazine. All of this attention even led to commercial projects for Yvonne and her students, bringing in some money to finance the film, supplies and accumulating lab bills. Such kid-produced films that came out of Yellow Ball include four “peacock logo” spots for NBC, test commercials for Cheetos snacks, an educational series for Westinghouse, vignettes for the children’s show, Hot Dog, and opening films for the White House conference on children. In 1985 and 1987, once Yvonne was teaching at the college level, she traveled to Armenia to work on a collaboration with an organization called International Artists for Peace. Sixty American artists and children were sent to the Soviet Union to create art projects in association with Armenian children and artists. The resulting projects were A Drop of Honey andThe Golden Ball, both short animated films based on Armenian folk tales. While continuing with the classes for children, Yvonne began offering extended-period courses for adults. Once a month, she offered three day intensive adult workshops. “It started off with one person.” recalls Anderson. “A woman from a university in Pennsylvania called up and asked for a private workshop.” The rest is history. A wide variety of people came to the weekend workshops for a variety of reasons: teachers, librarians, people who worked in hospitals and maximum security reformatories, even people sent by the State Department from Nigeria. Each of them took with them an experience that they could then go and share with their own students. In this way, Yvonne educated a whole new generation of educators, many of whom are now teaching animation workshops of their own. In 1979, Yvonne was invited to teach animation part time at Rhode Island School of Design (RISD), one of the premier art institutions in the country. “At first I didn’t think too much about it,” Yvonne said, “but then I realized it would present me with an opportunity to stay in one place for once, instead of being on the road all the time. So I did it.” Five years later, she was brought on full time, and served as head of the Film and Video Department for nine years. As in the Yellow Ball days, Yvonne expects a lot from her students, and she is recognized for her organized, almost militant teaching style. Even in her first introductory animation courses at RISD, she taught sophisticated filmmaking from day one, having her students make complete films, from A/B rolling and negative cutting to sound design and answer printing. Shortly after Yvonne started full time at RISD, Yvonne’s former student/teaching assistant Amy Kravitz joined the department; by then, she was a CalArts graduate and award-winning independent filmmaker. Today, RISD has one of the best fine art animation programs available, with Yvonne teaching Introduction to Animation, Puppet Animation and Special Effects courses, while Amy and her husband, Steve Subotnick, teach the advanced and degree project courses. Every year, a new generation of animators comes out of the program, armed with Yvonne’s training and instilled with her love for the art of animation. She gives her students something to take with them. I should know . . . I’m one of them.